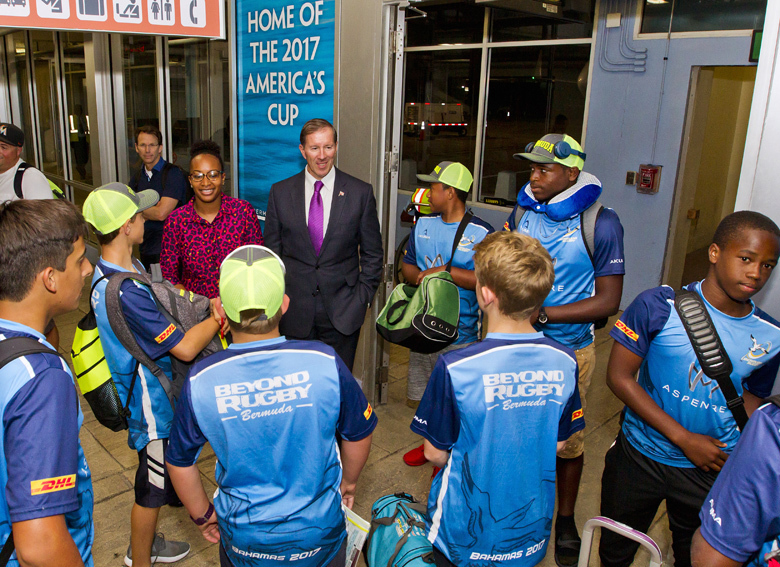 The Bermuda Rugby Football Union Under 13 and Under 15 teams returned home last night [May 15] after making an excellent showing at the Freeport Junior Rugby Festival in the Bahamas. The Under 13’s won all of their matches to ultimately achieve the division title, while the Under 15’s also performed well and were runners up in their group. 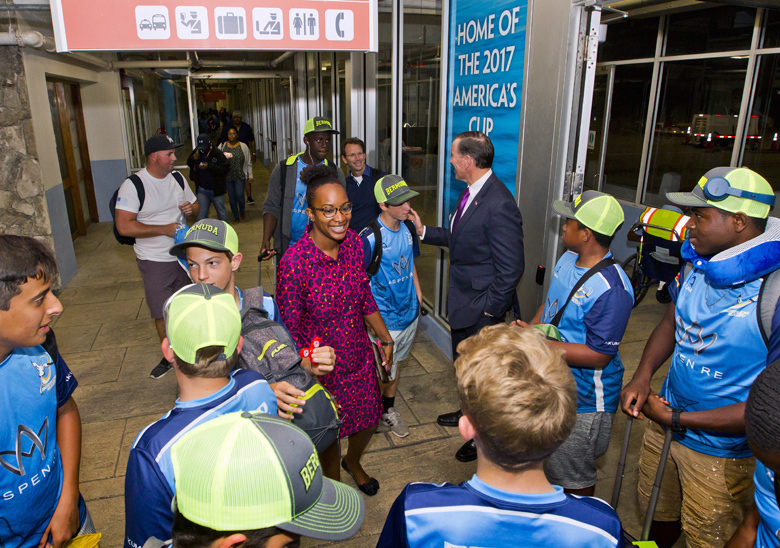 Premier Dunkley and the Minster of Social Development & Sports, Nandi Outerbridge welcomed the triumphant team back to the Island at the L.F. International Airport. 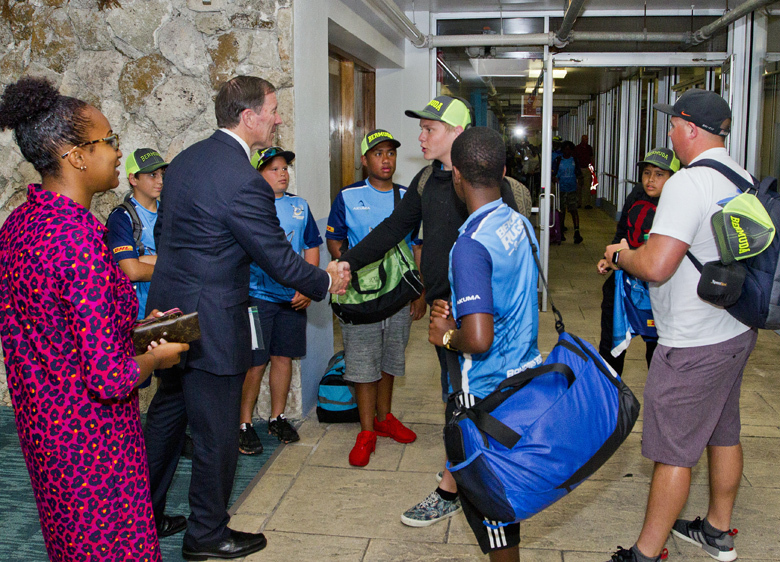 Upon their arrival, Premier Dunkley praised the young men for their success noting that they have made all of Bermuda proud. 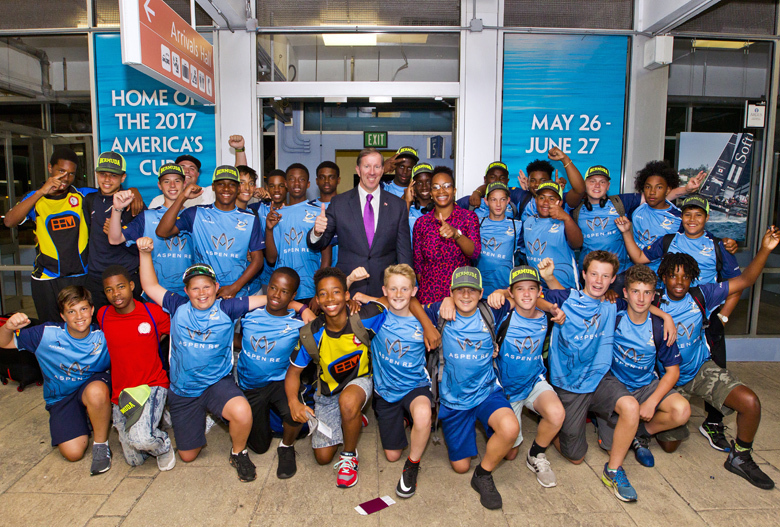 He also stressed the importance of community encouragement and support for programmes such as youth rugby and others. Congrats to both teams and their coaches!! You boys did an amazing job!! you all have made your parents and Bermuda very proud!! keep up the good works!